Prototype: German Federal Railroad (DB) type DDm 915. Current version for "DB AutoZug" ("DB Auto Train"). 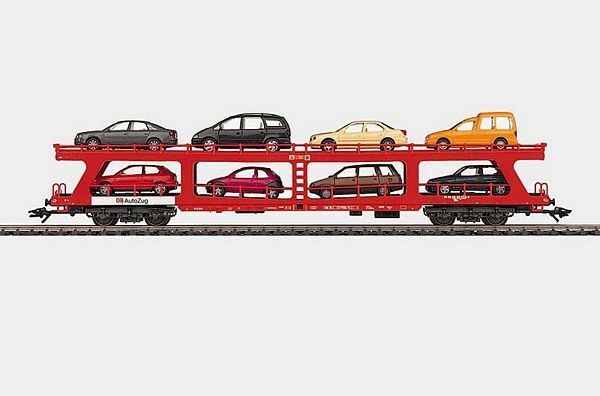 Model: The car comes loaded with 8 modern model automobiles. Length over the buffers 26.4 cm / 10-3/8. DC wheel set 4 x 700580.